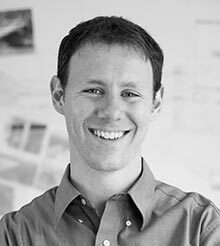 Sam joined Richard Burck Associates in 2010, and he currently manages a variety of public and private projects in urban settings. His current project list includes campus, streetscape, and public-realm park design in the Boston metropolitan area and in Georgia. Through his work at RBA, Sam conducts research into pedestrian circulation and social interchange in the public realm. He holds a Bachelor in Landscape Architecture from the University of Georgia’s College of Environment + Design, where he graduated with Honors. His student project, “Oconee Hill Village Master Plan,” was recognized with an ASLA Award of Excellence by the Georgia Chapter. After graduation, Sam relocated to Boston to serve as a conservation intern for the National Park Service at Frederick Law Olmsted National Historic Site. Sam is a licensed landscape architect in Massachusetts and Georgia and a LEED Accredited Professional. He has served as instructor at Boston Architectural College’s Landscape Institute and as a committee member on the Eastern Cambridge/Kendall Square Open Space Committee, advocating for improved connectivity in a diverse neighborhood of residences, businesses, and research institutions.